Why Choosing American Guest House Bed and Breakfast for Your Stay Is the Better Choice in Washington, D.C. If you have ever thought about choosing a Bed and Breakfast for your overnight stay instead of a hotel here are some reasons you should go ahead and book that room! 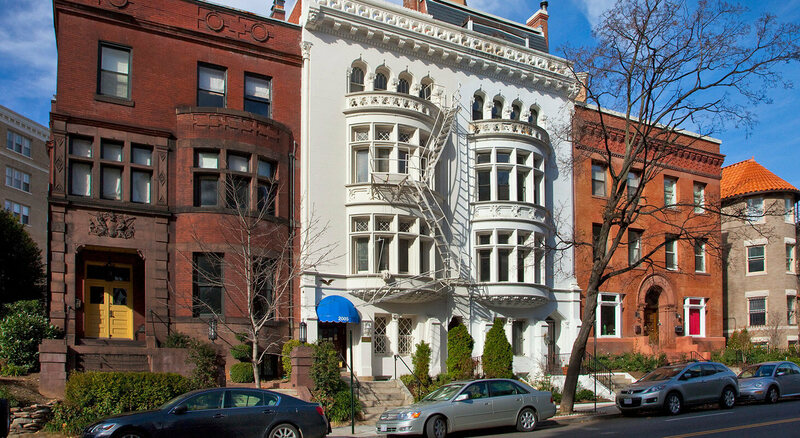 Convenience– In a busy city like Washington, D.C. where you stay is incredibly important. Being close to parking, metro stations and of course entertainment is crucial to a fun and enjoyable stay. Luckily, American Guest House is conveniently located in walking distance to Dupont Circle Metro Station and is only a mile from the White House and two miles from the Smithsonian Museums. Staying right in the heart of it in a city like Washington D.C. is where you want to be! Breakfast– Some hotels offer breakfast as part of your stay these days, but it does not compare to the gourmet breakfast served at American Guest House. Each day guests are greeted with a homemade breakfast that changes each day. This isn’t your run of the mill eggs that are barely warm by the time you get to eat them, this is fresh pancakes, eggs benedict and fruit just to name a few. Even better yet, if you have dietary restrictions, the staff is happy to help accommodate. For those who need to get out the door in the morning, but still want to partake in the delicious breakfast, on-the-go breakfast is available. Room Variety– Each room is unique and decorated a little differently from the one before. Guests can choose rooms with different décor, different bed sizes and even rooms that have different views of the city. No room is the same here at American Guest House. Each room comes with amenities such as: cable television, ironing boards, mini refrigerators, phones, ceiling fans and hair dryers. And don’t worry about sharing a bathroom here, each room has their own personal bathroom for added privacy. Personal Touch– Besides the breakfast, Bed and Breakfasts are known for the personal touch they offer each guest. Guests are treated as that, guests, not another credit card transaction or customer. From the moment you arrive to American Guest House, you are welcomed with a smile and helpful hand. Our staff is knowledgeable about the area and is willing to make recommendations on where to eat or what show to see. If you need directions or reservations, they are happy to assist! There is always self-serve coffee, tea, hot chocolate and cookies to make you feel right at home. By staying at a Bed and Breakfast you are given hospitality from the moment you arrive. Give American Guest House a try the next time you are looking for a unique, and enjoyable overnight stay in Washington, D.C. You will not be let down and will keep coming back year after year. Rooms are filling fast around the holidays, book yours today!